Ollantaytambo was one of the villages that came under the rule of the Incas. The city served as an important checkpoint. According to Inca laws, these lands were reserved for the dynasty of Inca rulers. 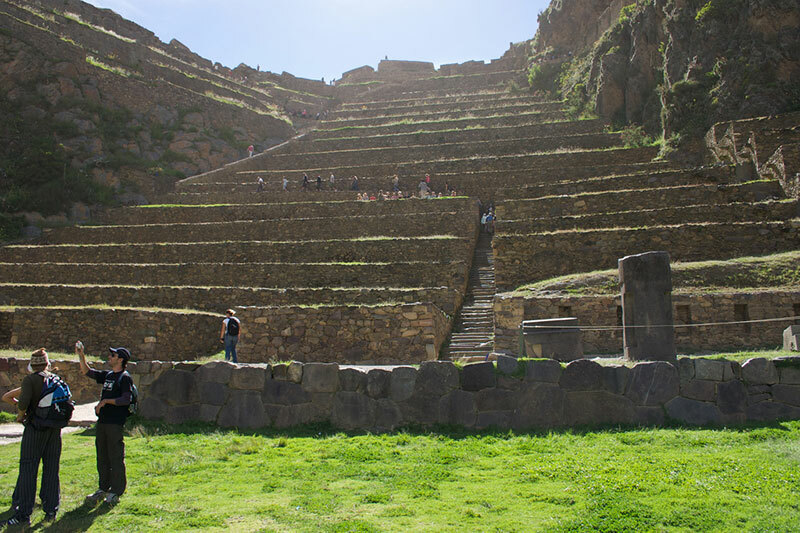 Learn all about the archaeological site of Ollantaytambo in Cusco, Peru. What is the historical importance of Ollantaytambo? How is the archaeological site of Ollantaytambo? What is the town of Ollantaytambo like? What places to visit in Ollantaytambo? What else to see in Ollantaytambo? According to various studies, Ollantaytambo is a word of Aymara origin (language of the Peruvian high plateau) that would mean “place of observation from below”. In Ollantaytambo, culture and history are deeply combined, producing the admiration of the people who visit it. If you decide to tour the city of Ollantaytambo on your trip to Machu Picchu, you will enjoy not only green and beautiful landscapes but also the daily life of the inhabitants of this ancient human settlement. According to oral tradition, Ollantaytambo owes its name to the Inca drama ‘Ollantay’, whose protagonist was the Inca general ‘Ollanta’. In the middle of the 15th century, Emperor Pachacutec destroyed the town that settled there to found Ollantaytambo and incorporate it into the Inca Empire. Pachacutec ordered the construction of the main buildings of the current archaeological site of Ollantaytambo. Pachacutec is known as the Inca builder. Under his rule, the Incas also built the Inca Citadel of Machu Picchu. 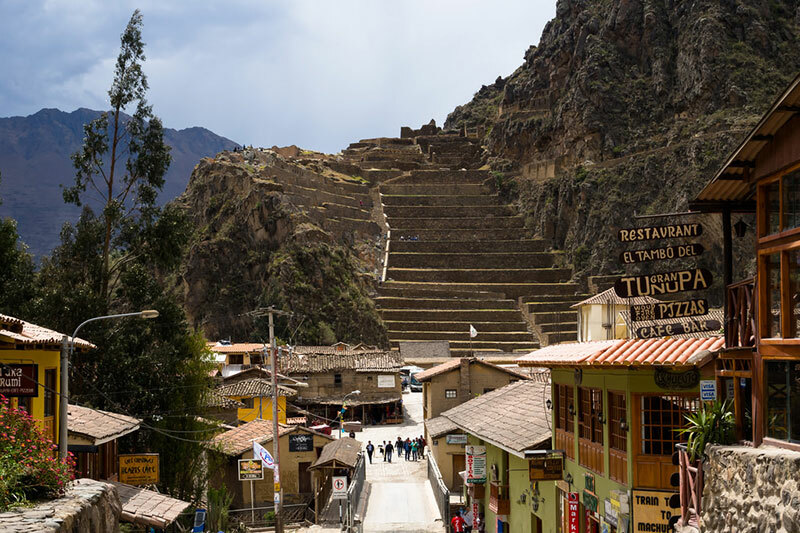 Until today, the town of Ollantaytambo conserves its urban organization as well as many Inca walls. Ollantaytambo was an important religious, agricultural and also military center. Due to its strategic location during the conquest it served as a defense post against the Spanish. In 1537 the Spanish conquistadors faced off with the last Incas who resisted the European invasion in Ollantaytambo. The resistance of Manco Inca could not stop the Spanish attack so they had to flee to the city of Vilcabamba, in the jungle of Cusco. The city was in the hands of the invaders and being an ‘encomienda’ at the hands of Hernando Pizarro. The encomiendas were territories placed at the disposal of the Spanish colonizers. Due to this, Ollantaytambo combines Inca, colonial and contemporary buildings. Ollantaytambo is located at the top of the mountains from where the town is watched as well as all the Sacred Valley of the Incas. Ollantaytambo has some of the best construction work done by the Incas as the Sun Temple. It was believed for a long time that the city was a kind of defense fortress. However, the quality of the work suggests that it also served as a resting place for the Inca and his family. The town of Ollantaytambo retains its Inca urban layout very well organized with a polygonal design. The square is in the center of the same city. At present, the space occupied by the town of Ollantaytambo is a fraction that it had in antiquity. The south side of the town of Ollantaytambo shows a higher quality construction. The north side, on the other hand, has lower quality buildings. Currently, the town has various tourist services such as hotels, restaurants, cafes and many places to visit. 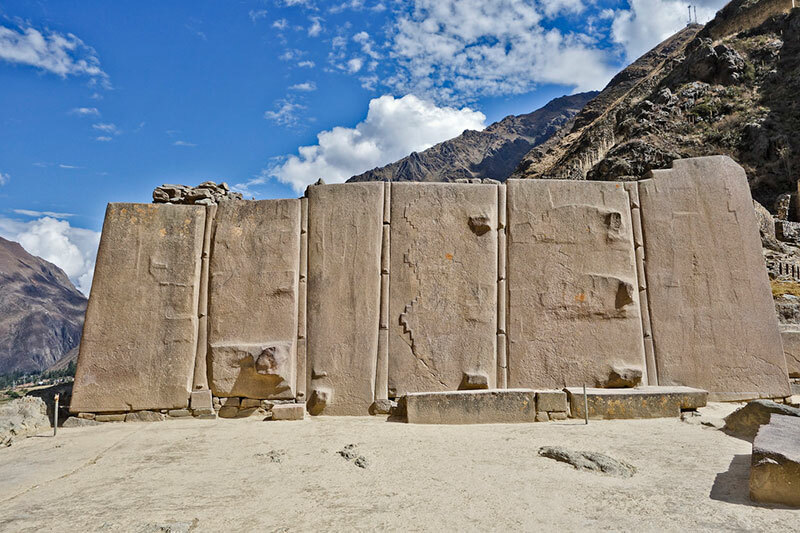 The archaeological site of Ollantaytambo has various buildings such as the Ñusta Bath, the Real Casa del Sol, the Monumental Home and many others. However, the most popular and imposing buildings in Ollantaytambo are the Temple of the Sun and the beautiful andenería system. 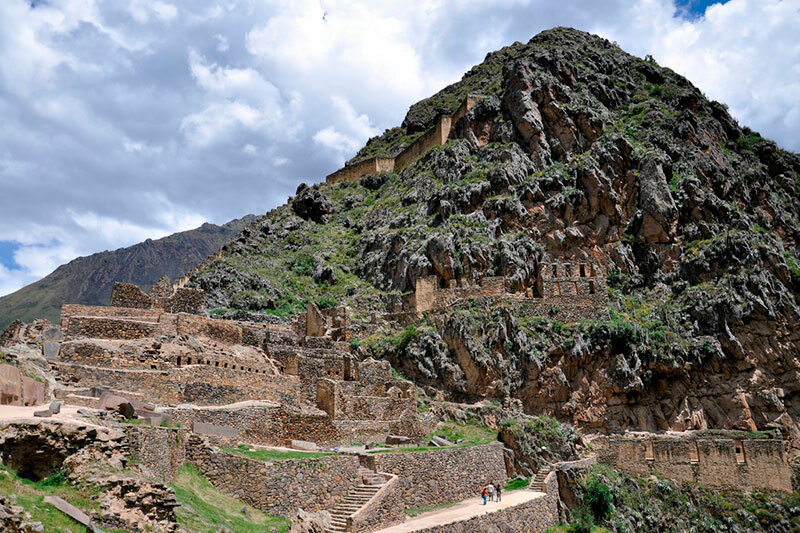 At the top of the mountains that surround Ollantaytambo you can visit some constructions called ‘Colcas’. These structures served as warehouses for basic products such as corn or potatoes. 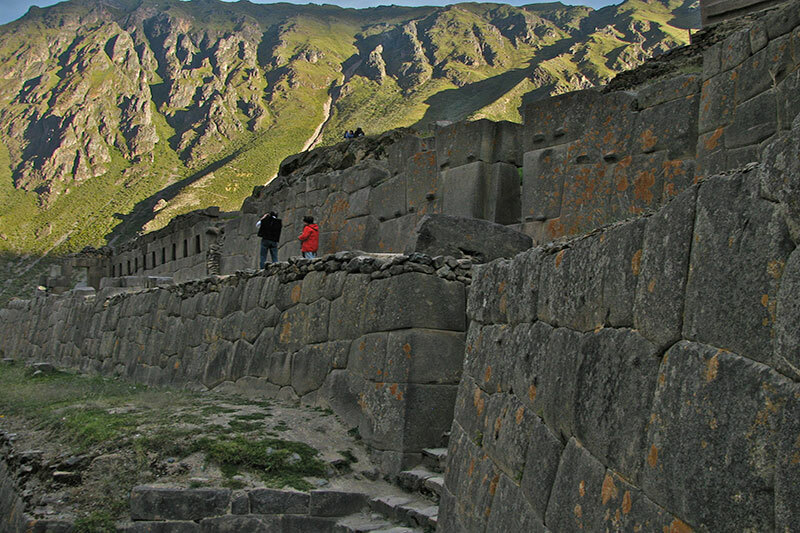 To the west of the Ollantaytambo you will find a building known as ‘Aracama’. In this place is the Temple of the Sun. The Temple of the Sun is a unique building in the Sacred Valley. It is built on top of a pyramid of terraces that lead to the Main Square. In the Temple of the Sun 6 monoliths survive that form one of the most impressive buildings of the Sacred Valley of the Incas. The Temple of the Sun must have been a ceremonial place. It is also believed that they stopped construction during the Spanish invasion. The agricultural terraces of Ollantaytambo are one of the best examples of agricultural engineering developed by the Incas. They are 700 meters long, 58 meters wide and 15 meters deep. Everything is built in relation to the position of the sun and the natural environment. The platforms create particular microclimates that allow the cultivation of different products in higher or lower areas. In Ollantaytambo you can also visit the abandoned quarries from which the construction material of the city was extracted. From Ollantaytambo you can take walks to Pumamarka or visit the Yanacocha lagoon. From Ollantaytambo the trains leave in the direction of Machu Picchu. Visit the archaeological site or the Inca people is a good option before knowing the Wonder of the World. ← How to get to the Sacred Valley of the Incas?